Romayne Thomas, 105, died Friday, October 19, 2007 at Lasata Care Center in Cedarburg. She was Ozaukee Counties Oldest Resident, born on April 26, 1902. She was born in Lebanon, Pennsylvania and raised by her mother Henrietta Katzenberg and step father William Blotz. In 1941 she moved to Port Washington from Milwaukee and then later moved to Grafton. She graduated from the Milwaukee Conservatory of Music and taught form many years with Mrs. Grauer at her studio, which is now the Port Yamaha. Later she taught on her own. She was married to Austin Lutter and after he died, married Lloyd Thomas in 1959 and he preceded her in death in 1978. She was a patient but demanding teacher, fostering an appreciation for music. She once met Liberace when she was 18 and would go to the arcade to listen to him play. They became friends and she would receive cards from him from all over the world. She was a true lady and always wore a dress. Friends remember her asking about their families her happiness to see them. 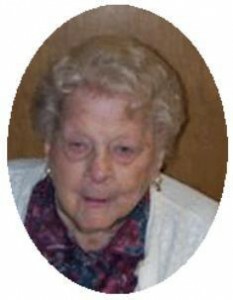 Romayne was a 55 year member of the Eastern Star, past member of the Port Recreation Board, Port Washington Women’s Club and Port Washington Senior Citizens. She was an only child and had no children. She moved to Lasata Care Center in 1985 and made many friends with the residents and staff. In a article in the Ozaukee News Graphic she attributed her long life to teaching children music, drinking plenty of water and eating Prime Rib. She is survived by friends from Port Washington and Lasata Care Center. Memorial Services 5pm Tuesday, October 30, 2007 at Friedens Evangelical Church in Port Washington. Interment Union Cemetery, Port Washington. Visitation from 4 – 5 pm Tuesday at church.